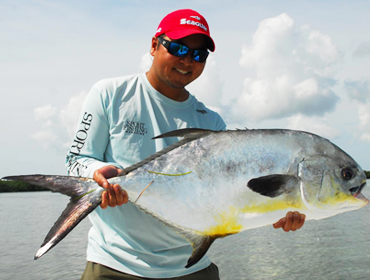 Gerry Benedicto is currently the General Manager of Seaguar fishing line and leader material. He is responsible for the managing the Seaguar brand, sales, marketing, and product development of premium fishing line and leader. Benedicto also manages the sales and marketing for Kureha America’s fluorocarbon guitar strings. Prior to joining Seaguar, Benedicto worked at Canon U.S.A., Inc. for several years in the consumer product marketing divisions. He is an avid saltwater and freshwater angler and is an advocate for conversation in the fishing industry. He is honored to be an advisory board member of the Gray Fishtag Research team.